Before you flood our inbox with hate mail, we know that it is highly inappropriate to name Bernheim Original Wheat Whiskey our Bourbon of the Day. We know…it’s not a bourbon. But it is on our shelves, and since we have tried everything on the market, this wheated whiskey made the lineup. Trust us – one sip and you will understand why. I dig it, and I agree. Bourbons with high wheat contents are usually much smoother than those with higher rye contents. That’s not to say that Bernheim is silky – its not. In fact, the texture starts and finishes a little on the rough side. The mid-point is thick and buttery on the tongue with a medium body. Bernheim is produced according to the same standards as bourbon; no coloring or flavoring agents are added to the whiskey during its production or aging, and the whiskey matures for two years in brand new, charred, white oak barrels. Just like bourbon, Bernheim has a unique personality that’s all its own. The nose is crisp with pumpkin, spice, and pancake syrup. It has all the aromas of fall, and even its golden, rusty-brown color is reminiscent of fallen leaves. The first sips are bursting with citrus, and there are flavors reminiscent of oranges on the palate. I will say that Bernheim finishes pretty quickly, and leaves a nice honey-ham ending. Not bad. Not spectacular, but not bad. One last note for the health conscious: Bernheim wheat is, in fact, gluten-free (one of my favorite patrons, Cam, had questions as to whether it was or not), and is vegan friendly. 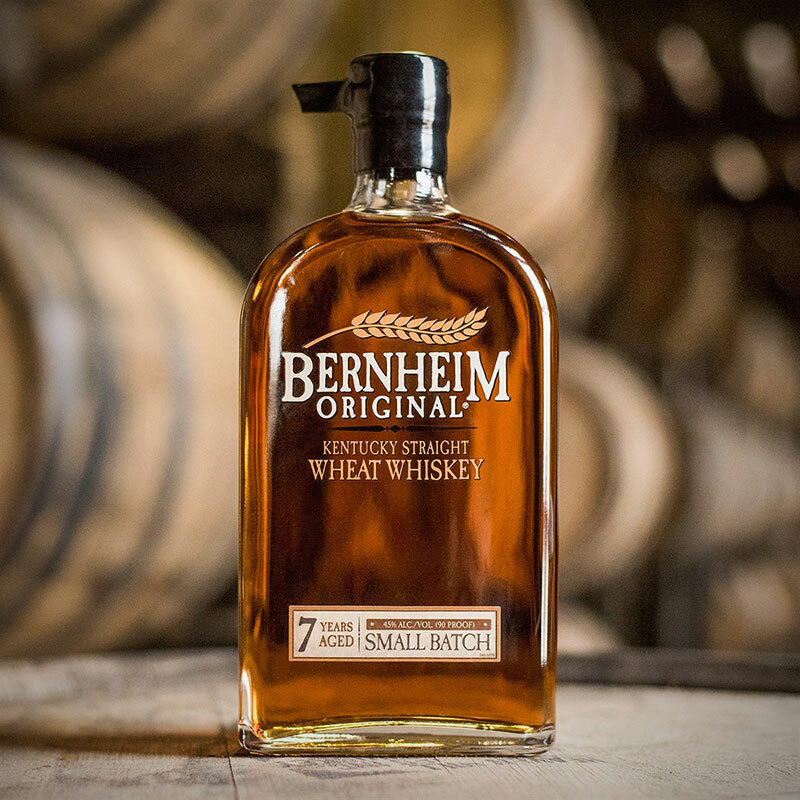 The distillation of the main ingredients in Bernheim Original Wheated eliminates most the elements that affect those with gluten intolerance. Of course, those who are hyper-sensitive may want to pass this one up, but its a good try for the curious and mildly intolerant. I don’t know that Bernheim Original Wheat Whiskey is a must buy (even thought the bottle looks magnificent and is only $27), but I will encourage you to try it the next time you visit Dish on Market, or your local bourbon bar. You can also get a bottle delivered right to your door. Have you tried Bernheim Original Kentucky Straight Wheat Whiskey? What do you think? Vote using the stars or leave a comment below. I would have to agree on the review that was given on this whiskey. One of my go to liquor store showed me this bottle and told me about it and that I should try it. I did and again he did not steer me wrong as he knows I buy and enjoy good bourbons. I like this one! It’s nice to buy a good bourbon or whiskey and to enjoy it with out having to pay a high premium price for it. So for an every day type of drinking whiskey with the right price this is a good find. I’ve seen this in another store and saw that they are trying to sell it for $45.